A week at the CES. After publishing the comprehensive review of the German Core i5 version in December, we can now test the smaller Core i3 version thanks to Intel. 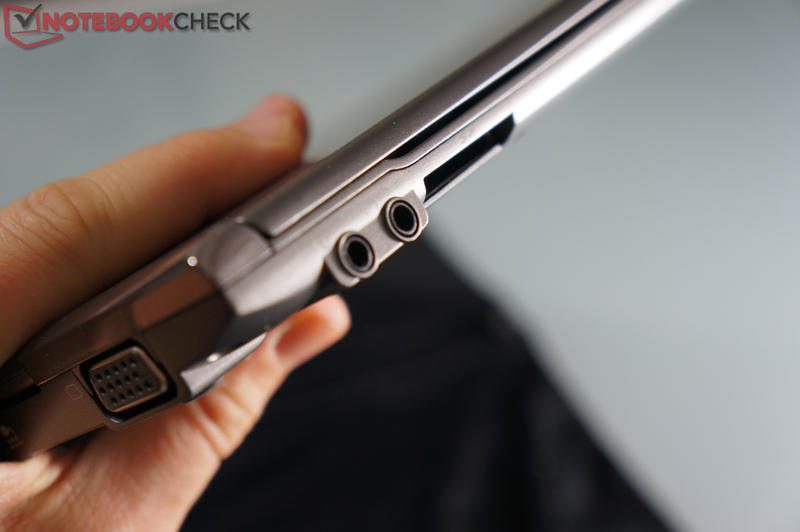 In addition to numerous benchmarks, the inexpensive ultrabook also had to show how it fares in practical use at the CES 2012. 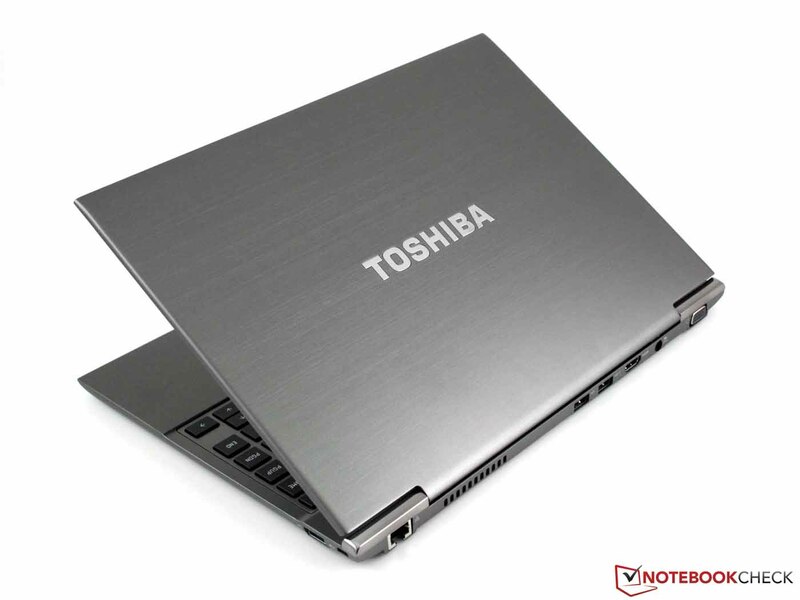 The Toshiba Portégé Z830-10N is the small entry level version of Toshiba's ultrabooks with a Core i3 ULV processor and a 128 GB SSD from Great Britain. Only the stronger Core i5 versions, such as Toshiba's Satellite Z830-10J (in review here), are available in Germany at the moment. The models are all identical except for the CPU and SSD. 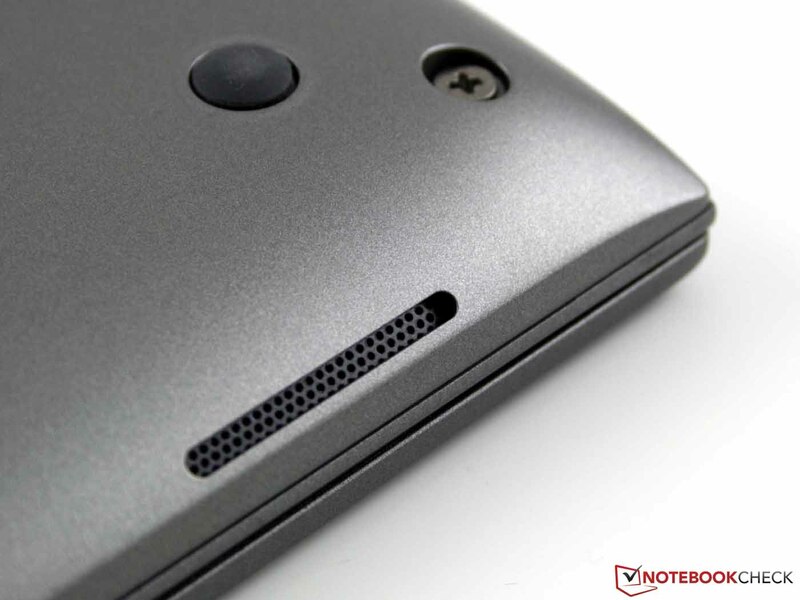 Therefore we will mainly deal with the processor performance and our experience in daily use in this review. We will only deal with the long-term experience and differences to the i5 version in this article. 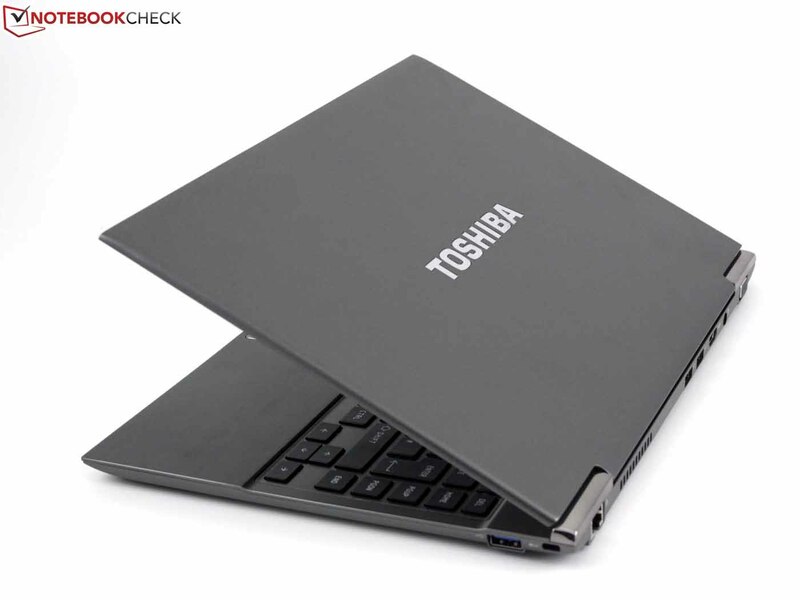 Therefore, we would recommend reading the detailed review of the Toshiba Satellite Z830-10J for more information about, e.g., temperature development, screen, etc. 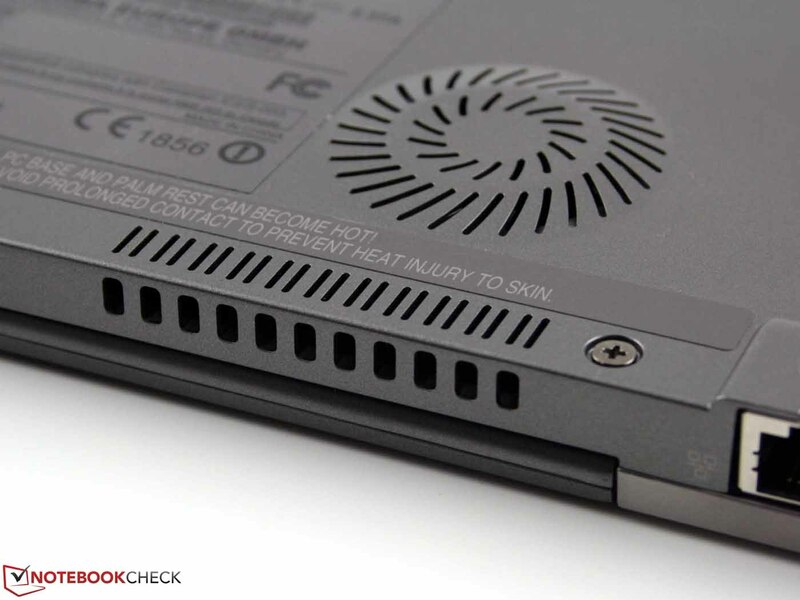 The very slim case of the ultrabook is allegedly especially resistant thanks to a magnesium alloy and honeycomb structure. The base unit also does a good job with that. In return, the very thin display lid can be twisted very easily. Opening the screen feels more like unfolding a piece of paper. The central display hinge also contributes to its delicate impression. That and the screen's low rigidness allow the whole display to wobble when typing on the lap - annoying. 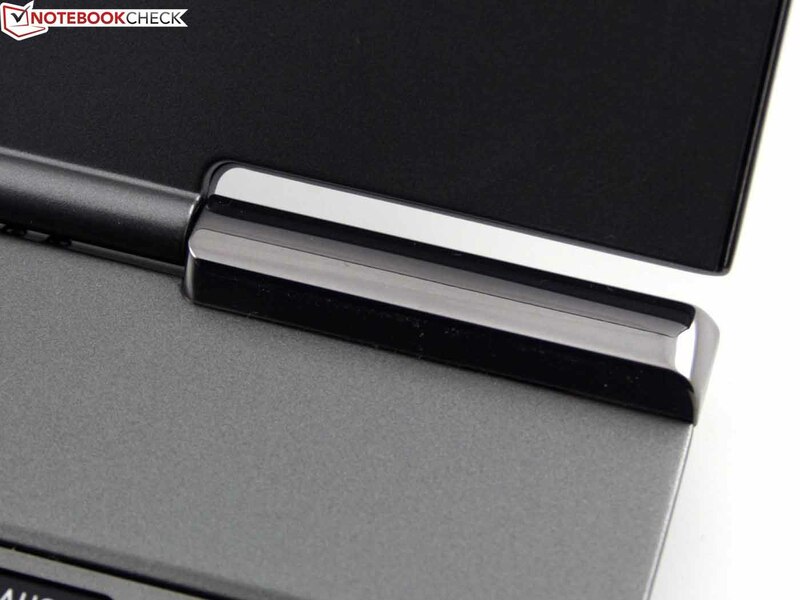 Moreover, we also noticed the case's fairly sharp edges adversely during everyday use. The low overall height and the low weight are appealing. The subnotebook is hardly noticed in the case and carrying it around is accordingly pleasant. The used materials make a good impression. 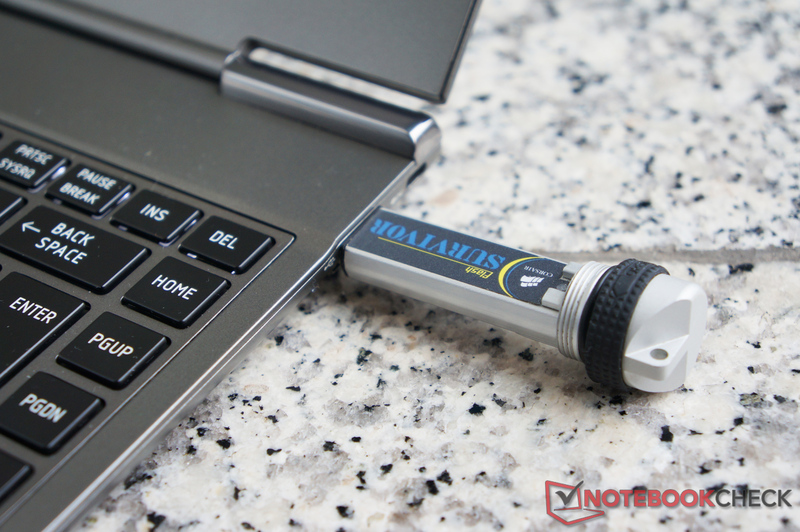 Nevertheless, it can't quite keep up with the aluminum surfaces of a MacBook Air or Asus ZenBook. The design is unobtrusive and well-suitable for business use. Although we handled it with care (protective cover, usually in the padded laptop compartment of the backpack), we noticed a clearly visible scratch on the bottom after the hardships of our routine measurements. The magnesium wasn't damaged, but the clear varnish apparently took some damage. 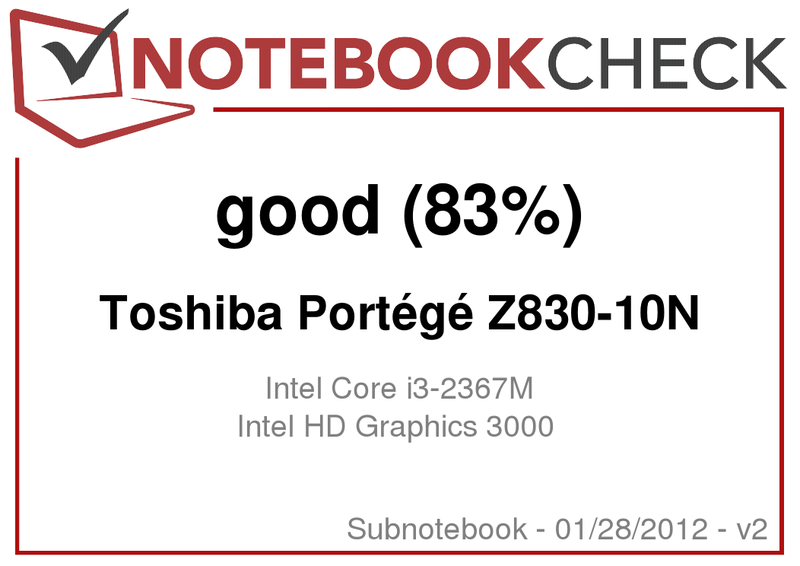 The Z830 can very well score in this category considering it's a subnotebook. 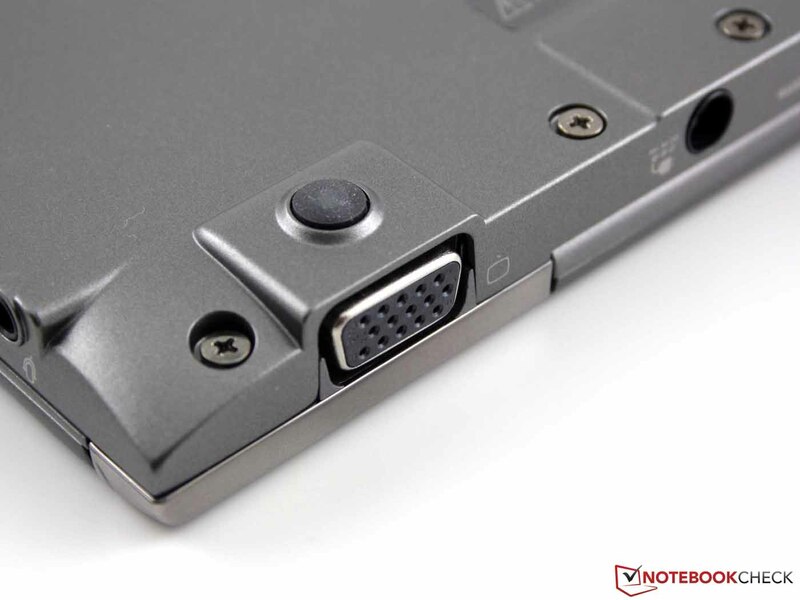 We actually only missed a DisplayPort for connecting monitors with a higher resolution than 1920x1200 in routine use. We favorably noticed the LAN port (not a matter of course particularly in ultrabooks) and the sleep & charge function of the rear USB port. Thanks to the three USB ports (2x USB 2.0 and 1x USB 3.0), we managed quite well even in foreign countries (mouse, recharging the mobile, USB flash drive). The SD card reader was also in frequent use at the CES. The dummy card cover was left at home. Business users who still often have to use a VGA port (e.g. older projectors) will be pleased about the corresponding socket on the Z830. The aforementioned LAN port was often a boon due to the congested wireless access points at the CES. For example, MacBook Air users often needed a USB LAN adapter. 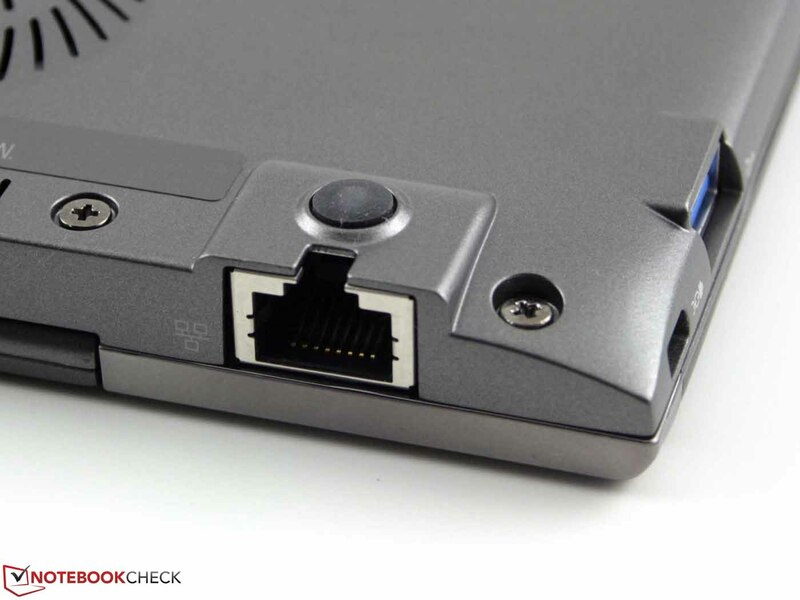 When wifi worked, the high-end Centrino 6230 WLAN card with integrated Bluetooth was convincing. The included textile cover (neoprene?) was quite useful. However, it is a bit snug and thus makes packing up the notebook a bit awkward. 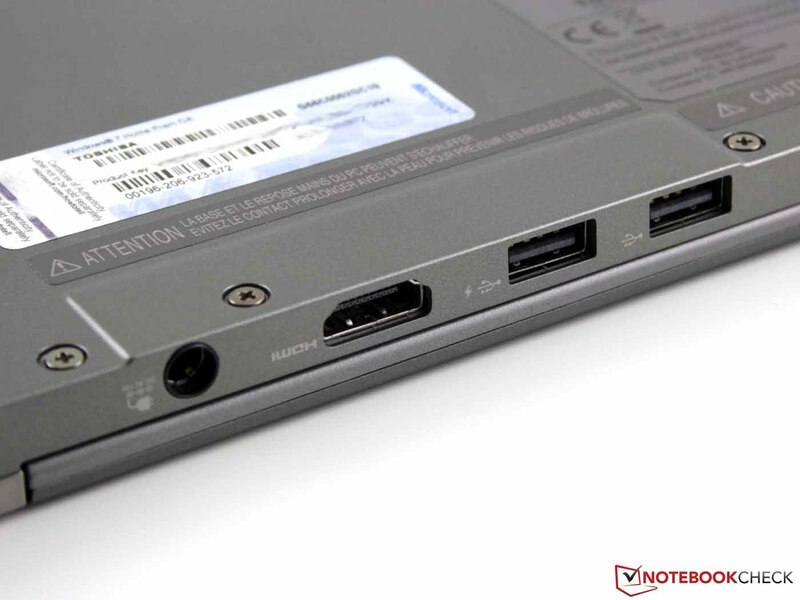 The Toshiba Portégé Z830 has only one RAM slot (2 GB inserted plus 2 GB soldered) and the SSD is connected via mSATA port. Theoretically, the components are easy to access when the cover is removed from the bottom. It is secured with conventional Phillips screws, but there is also a Torx T6 screw underneath the foot in the center, which could prove to be a minor obstacle. It is also possible to access the fan for cleaning after the cover has been removed. 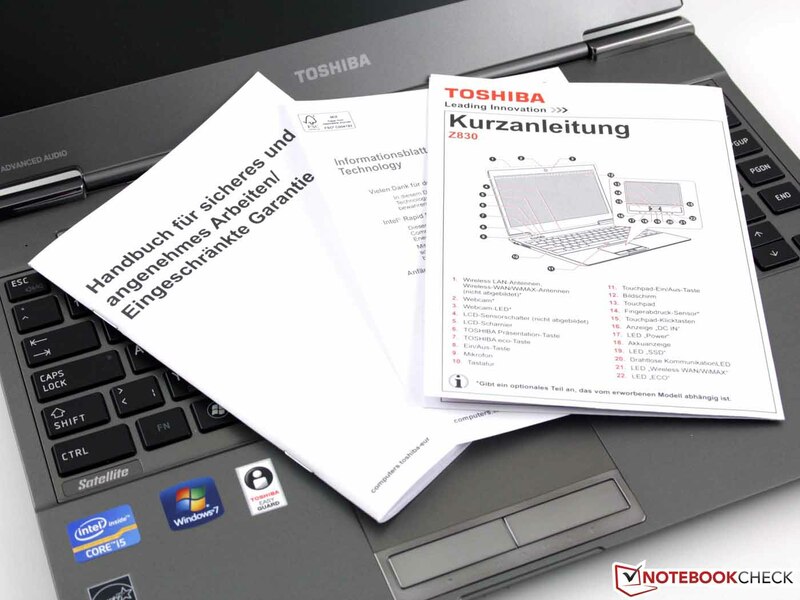 According to Toshiba, the manufacturer warranty will only be voided if damages on the notebook or parts are a result of service, maintenance or repairs by anyone other than Toshiba or if seals or serial numbers of the notebook are manipulated or made unreadable. The spill-proof, single key keyboard bids a good layout as well as a pleasant key size. The key drop is unfortunately very short so that the characters aren't struck with enough pressure even after a longer typing session (preferably the shift key). The subjective typing feel is also affected by the short drop. 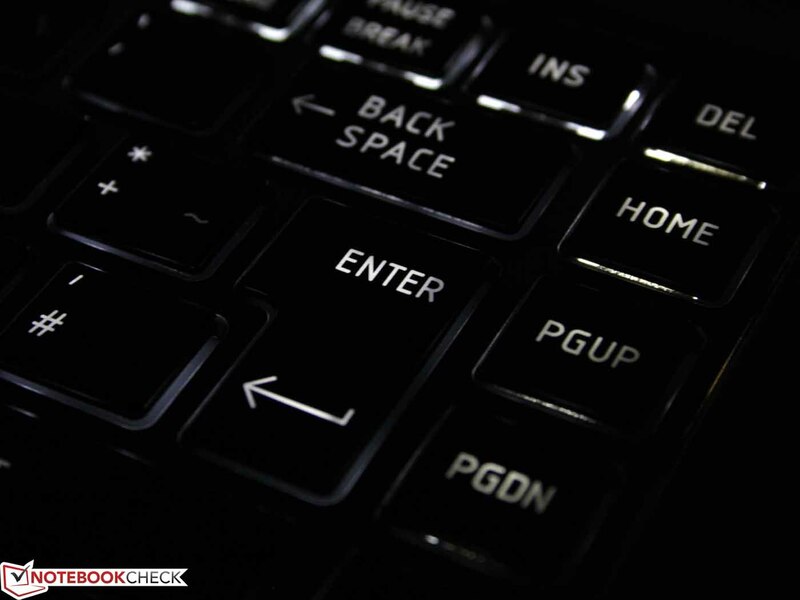 The keys are illuminated, whereby the dual function keys aren't. This makes it difficult, for example, to find the volume control in the dark. The touchpad is inconspicuous for a Windows' device. A sufficient size fused with good gliding traits and the corresponding mouse keys facilitate navigating without an external mouse. Multi-touch gestures are supported, but are very choppy as typical for Windows. For example, two-finger scrolling only worked unsatisfactorily so that we ultimately always used an external mouse (in this case, the MS Arc Touch). The matt 13.3 inch screen convinces with good anti-reflective qualities and a high maximum brightness. Although the resolution of 1366x768 is perfect for many users, the desire for a higher resolution quickly emerges when multitasking. The competition partly offers a much higher resolution of 1440x900 (Apple) or 1600x900 (Asus). The weak contrast of 136:1 (Z830-10J) is visible in pictures and movies. However, it isn't as annoying as the tight viewing angles in which the rendered picture remains stable. The colors only stay true when standing directly in front of the screen. 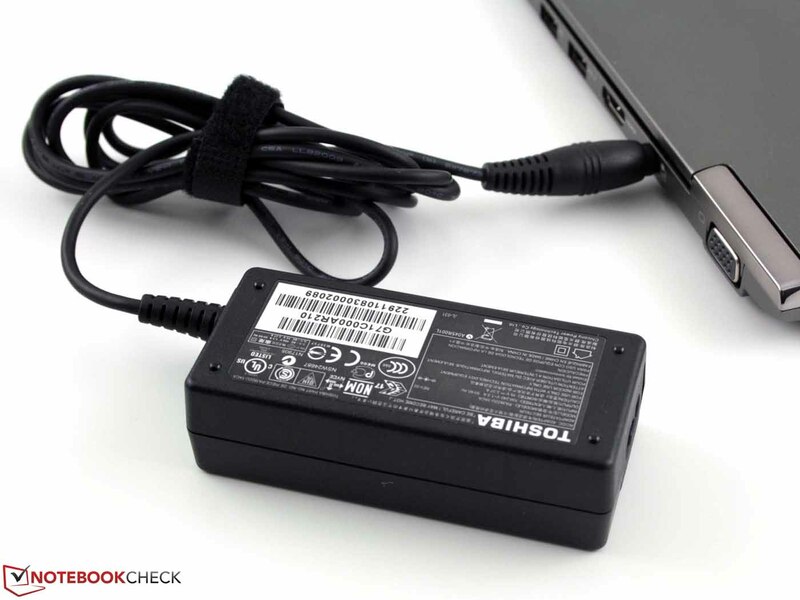 As typical for the small ultrabooks, a ULV processor with integrated graphics card is found in the Toshiba Portégé Z830-10N. Toshiba also installs an SSD from its own production. The memory configuration of 4 GB is quite sufficient, whereby the 2 GB bar could theoretically be replaced. Intel charges a lot less for the Core i3-2367M built into the 10N than for the Core i5-2467M. In return, the user gets considerably less performance. The Core i3 doesn't support automatic overclocking via Turbo Boost and is therefore limited to a maximum clock of 1.4 GHz during load. The i5 can clock up to 2.3 GHz in this case, and is consequently at a clear advantage. However, the i5 can also break away with a base clock of 1.6 GHz. Moreover, the i3 lacks support for Virtualization Technology for Directed I/O (VT-d). But that isn't as important in an ultrabook (VT-x is supported). The i3-2367M is clearly defeated in a direct performance comparison in our benchmarks. The Core i5 has a clear lead of 29% (wPrime 1024m) up to 54% (CB10 single), depending on the CPU benchmark. Compared to other processors, the i3-2367M is on about the same level as the old Core i5-470UM in the benchmarks. The small Core i3 model's system performance surprised us in routine use. The system' resources were actually always sufficient for our editorial tasks. A look at the PCMark 7 results confirms this impression. 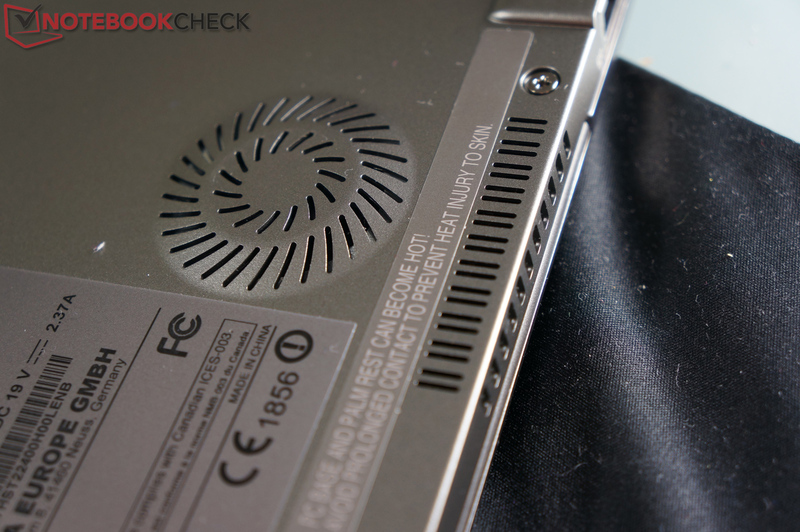 Thanks to the SSD, the Z830-10N places itself on a par with an Asus G74SX equipped with a conventional HDD. The i5 model is 17% faster due to the faster i5 CPU. The i5 model can even excel by remarkable 54% in the older PCMark Vantage. 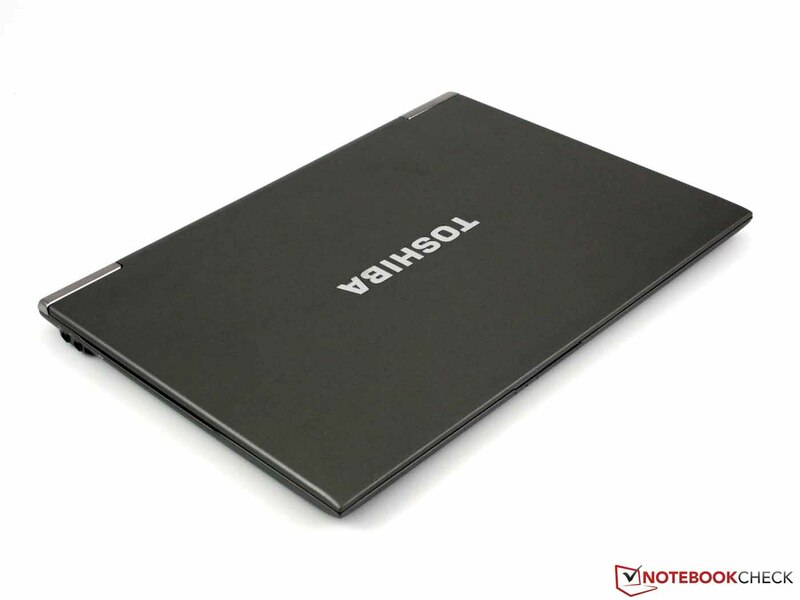 In comparison to other notebooks, the Z830-10N score is a lot lower here, as well. Current HDD notebooks with a Core i5-2410M, such as the Asus K73SV-TY032V, roughly achieve the same scores. 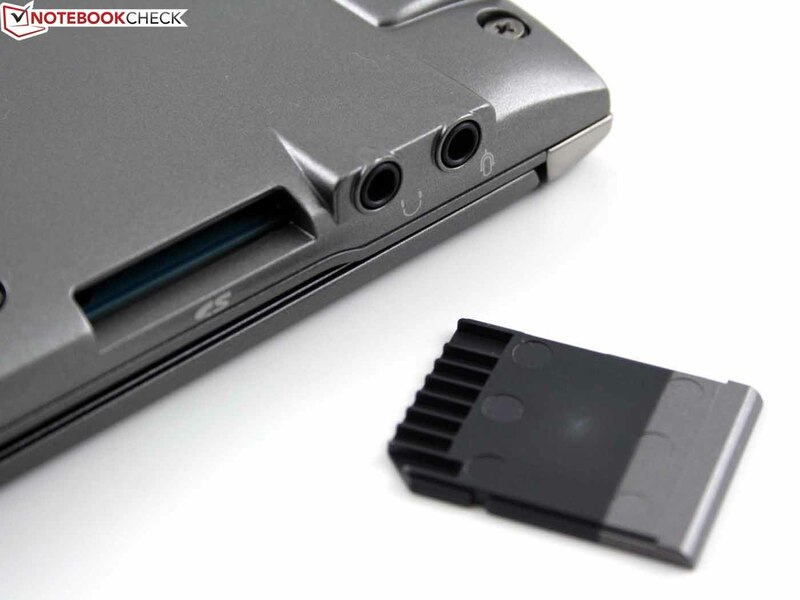 The installed mSATA SSD from Toshiba can only keep up with the sequential read rates of the competition to some extent. Even the mediocre TS128C in the MacBook Air 11 inch is almost twice as fast on average in AS SSD and CrystalDiskMark. 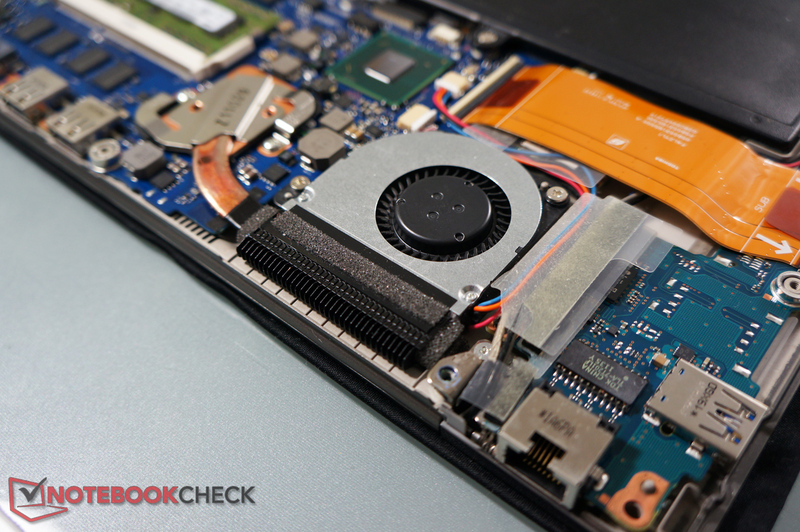 The ADATA XM11 in the Zenbook UX31 degrades the Toshiba counterpart and achieves 1292% of the performance. Even fast hard disks can supply faster data transfer rates than the Toshiba SSD. However, they remain significantly inferior because of the slower access speeds and 4K data rates. 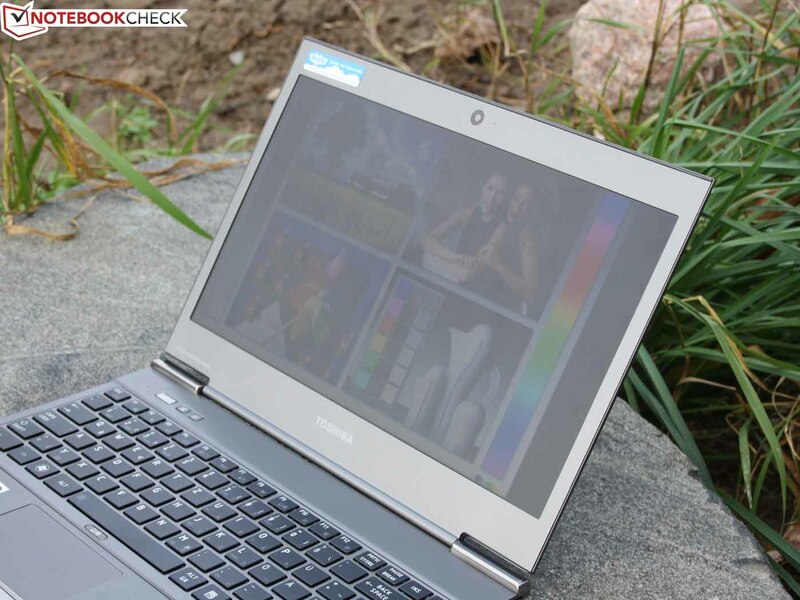 Toshiba relies on the Intel HD Graphics 3000 integrated in the Core i3-2367M. As typical for ULVs, it has a base clock of 350 MHz and can reach up to 1000 MHz via Turbo Boost 2.0. Up to 1150 MHz are possible in the Core i5 model. Consequently, the graphics card has more power on paper. Together with the processor's weaker clock frequency, a clear performance difference becomes evident in games and graphics benchmarks. The Core i5 is faster by 21% on average in our tests. The synthetic benchmarks made it obvious that the ULV graphics isn't exactly one of the CPU's strengths. But it is interesting that it is nevertheless possible to play a few up to date games anyway. In addition to casual gaming tracks, such as Orks Must Die, even a few current blockbusters like Fifa 12, Dirt 3 or StarCraft 2, could also be played smoothly in minimum details (single player). However, the HD Graphics 3000 has to give up on more demanding games like Battlefield 3 or Skyrim. The surface temperatures were inconspicuous over the entire period of use and the device never really got warm. However, we hardly ever put it under stress (the odd game, video playback) and high temperatures weren't noticed then, either. The Core i5 model was also very cool without load. We could only measure a single hot spot of 43.4°C on the bottom during extreme load. Toshiba is particularly proud of the two stereo speakers in the device because they are to supply an excellent sound despite the low overall height. We can't share Toshiba's exultation in the endurance test, though. The sound is all right considering the frame size, but it's only sufficient for YouTube videos in quiet surroundings. We had to turn up the volume to maximum to achieve a less than adequate soundscape especially when showing videos in office rooms. The Core i3 can beat the stronger Core i5 in battery life. Although the WLAN test isn't directly comparable because we couldn't adjust it to exactly 100 cd/m2 (no meter at hand), the other rates show a corresponding picture. 5 hours of WLAN runtime were also possible in practical use at the CES, but it wasn't enough for a whole workday. 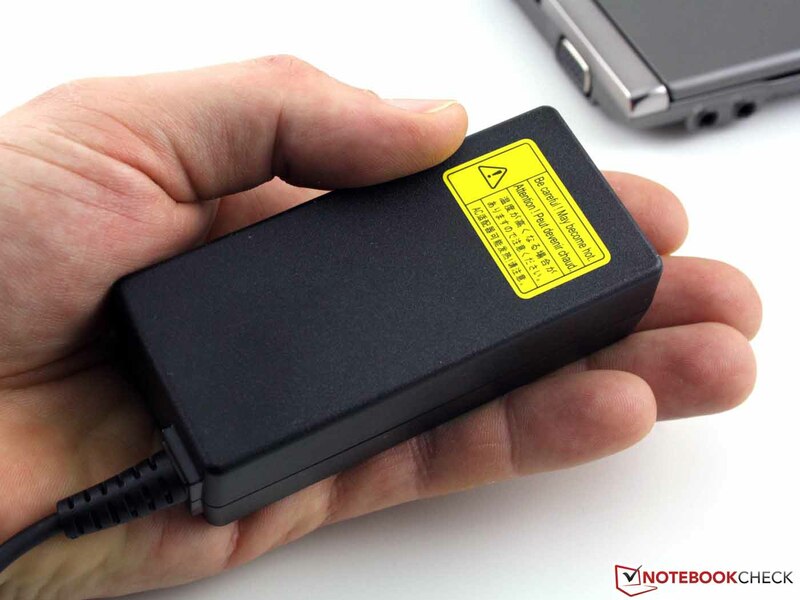 Thus, we always had to carry the fairly small power adapter around with us. The model equipped with the small Core i3 proved to be quite useful in the practical test at the CES. 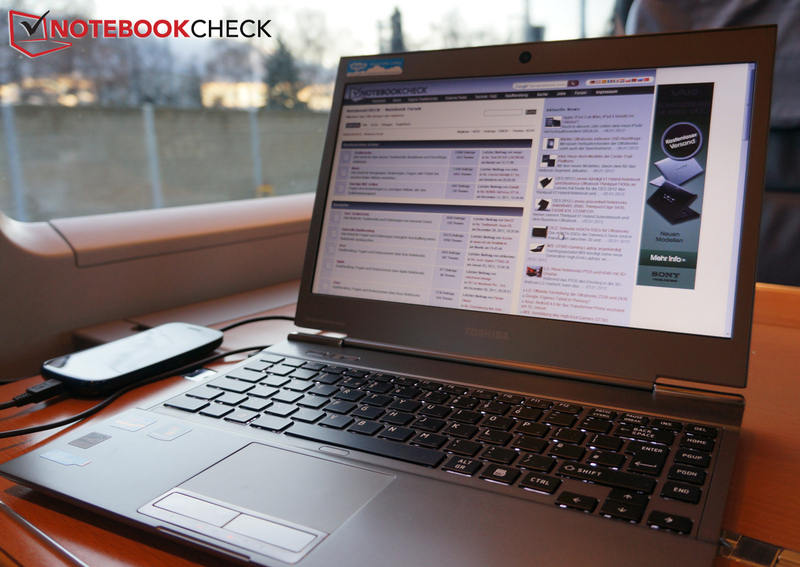 The ultrabook easily coped with organizing pictures, HD video editing (thanks to QuickSync) and heavy browser use. Even videos and an occasional small game weren't too much for the weak CPU / GPU combination. Of course, a large part is owed to the SSD. Although it doesn't exactly excel in the measurements, it nevertheless provides a clear advantage in contrast to conventional HDDs. The small case and the low weight make it possible to always take the Z830 along and to use it with one hand while waiting in line. But we of course also noticed a few drawbacks. The short key drop while writing our articles was particularly annoying. Apart from that, the operating noise of the actually quiet fan is disturbing in quiet surroundings - too bad. The battery runtime isn't really bad, but it's not enough to completely leave the power adapter at home when on the go, either. Thus, after our long-term experience, we downgraded the Toshiba Satellite Z830-10J's rating a bit and transferred it to this device. The i3's weaker performance is counterbalanced by the longer battery life. Consequently, the i3 model receives the same overall rating of good 83% as the Core i5 model. 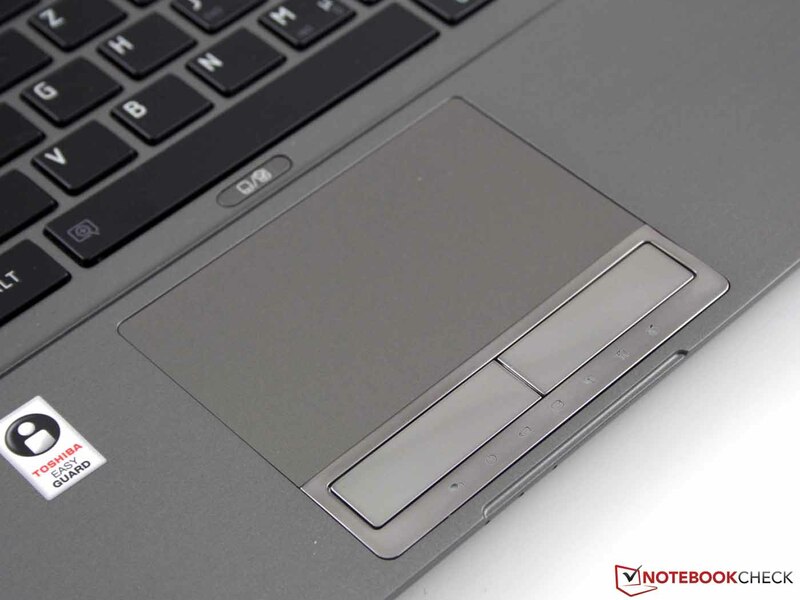 The thin case is a trademark of the ultrabooks. Quiet, but nevertheless annoying fan (in quiet surroundings). The system performance doesn't give reason for complaint in routine use despite "weak" components. A stable display - we have an awkward feeling every time we open the lid. That such a quiet fan can be so annoying in quiet surroundings. The MacBook Air is still the reference "ultrabook". 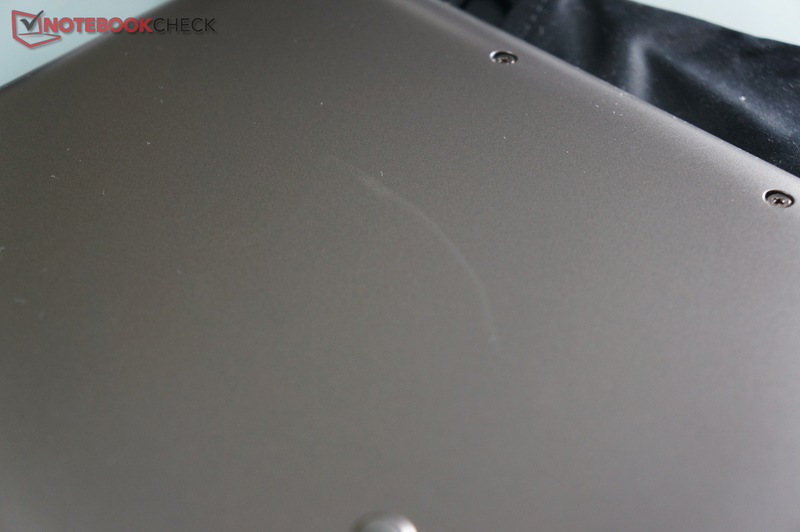 But the well-designed devices from Asus (Zenbook UX31) and Samsung (Series 9) are worth looking at. There is also the Acer Aspire S3 with HDD in the low-end price range.